This mare is enrolled in both the Future Fortunes Incentive program and the AQHA Incentive fund. 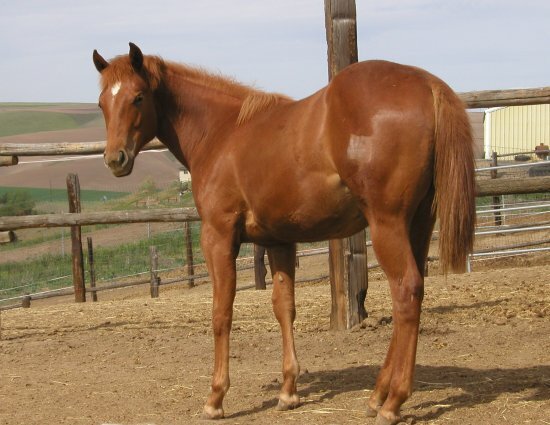 The mare's registered name is Sixey Biankus, and we call her Bailee. She was born April 30, 2006. 'Bailee' is 5 years old in 2011, and is being shown in pole bending at this time. 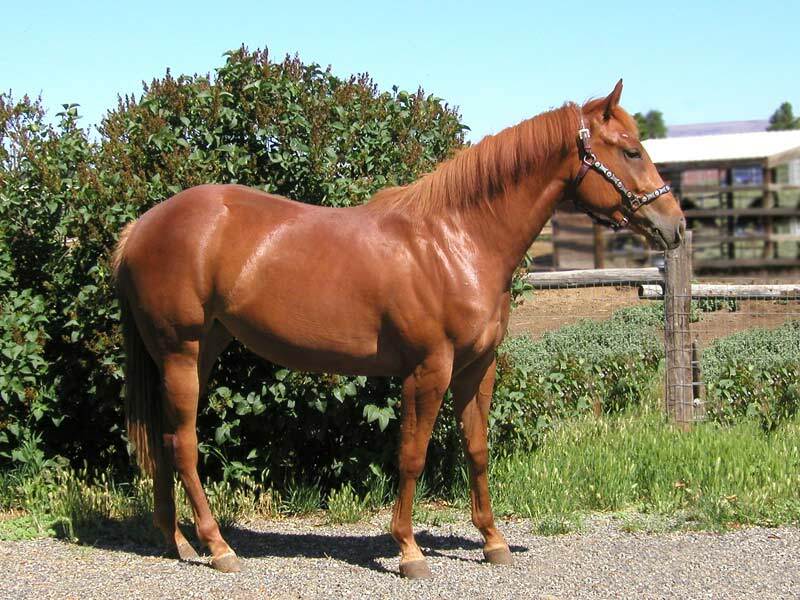 She won the WBRA Speedhorse Pole Futurity at Moses Lake WA, and you can see her at the 5-State Futurity at Rapid City and the Fizz Bomb Classic Futurity at Gillette WY this September. She has a great pattern and leaves the poles up. 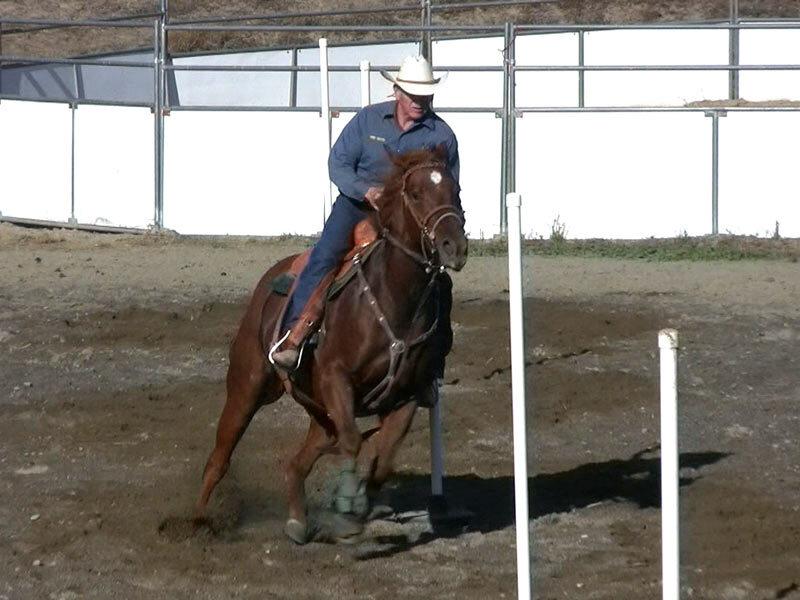 A quick learner with a willing attitude, she is bred to run barrels and poles: Verily Sixes (Packin Sixes - Streakin Six and On The Money Red) on the top, and On The Money Red / Biankus on the bottom. 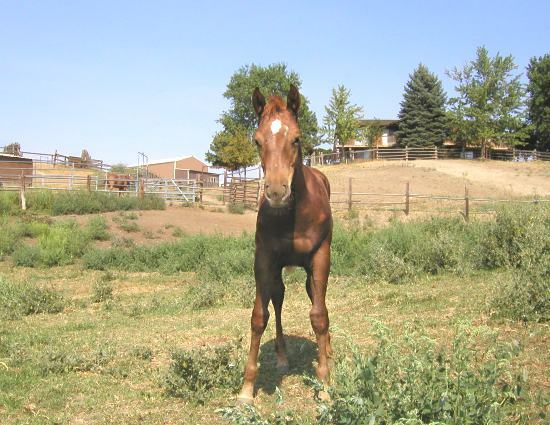 She is enrolled in Future Fortunes and AQHA Incentive Fund programs. 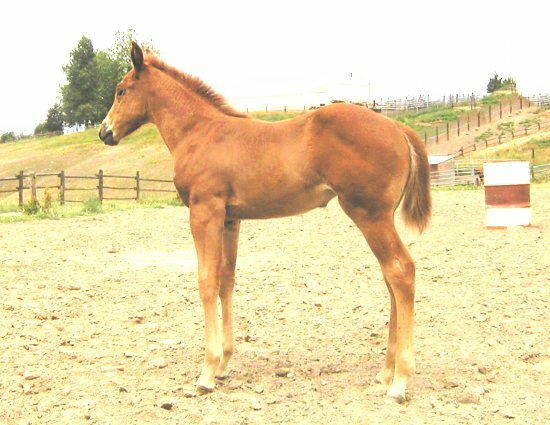 The sire is our Verily Sixes stallion (Packin Sixes x On The Money Red) and the dam is an own daughter of On The Money Red, and out of an own daughter of Biankus. 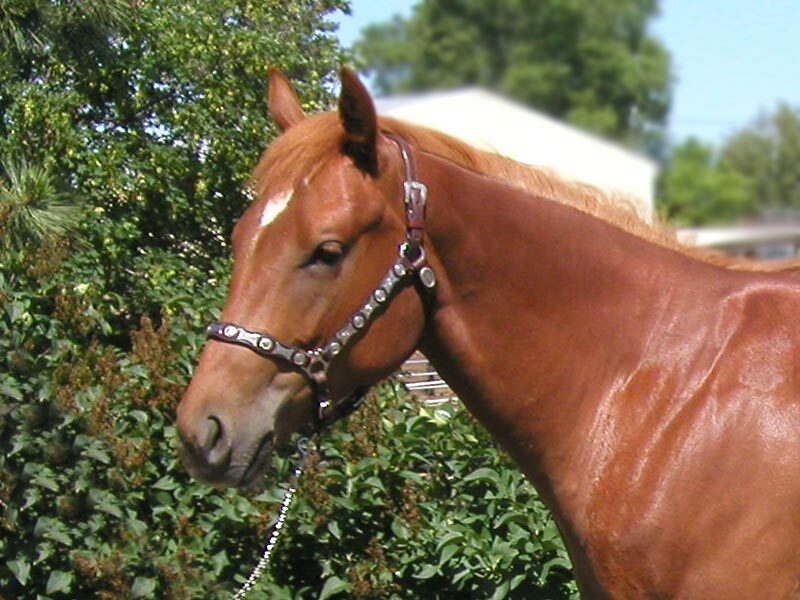 What an outstanding pedigree, loaded with barrel horse power! It is displayed at the bottom of this page. 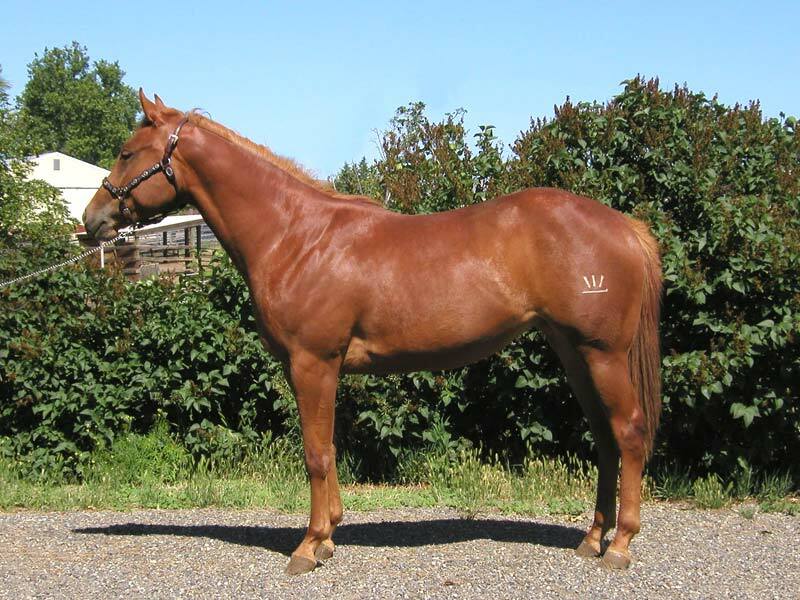 You can research the horses in the pedigree by clicking on the horse's name if it is displayed in red. Take a look: On The Money Red - twice, Packin Sixes, Streakin Six, Biankus, all close up, and other great horses of yesteryear. 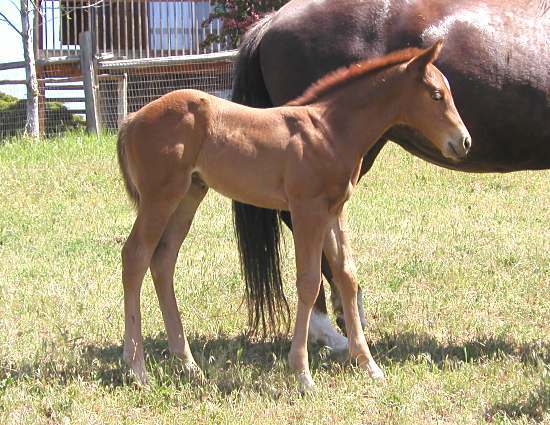 Her dam had other outstanding foals. 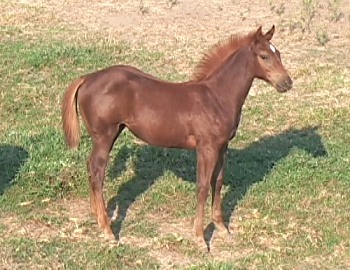 The first was High On Biankus, a truly classy bay colt. 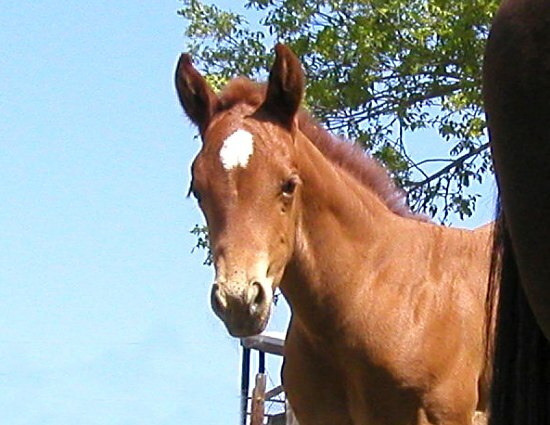 Toby was purchased by a family in Georgia in January of his 3 year old year. He did well in his barrel futurity year, and has moved on to be successful at big 4-D races in the southeast. 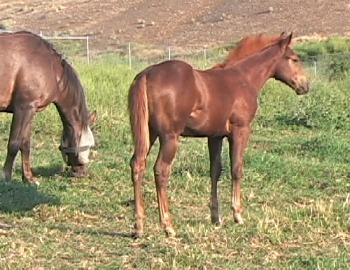 A full sister to this mare is Sixey In Red, a 2005 red roan mare that was running 20's in poles as a 4 year old. 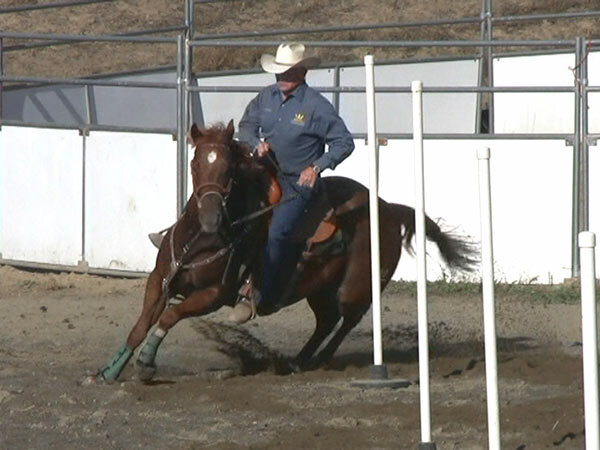 This mare has been enrolled in both the Future Fortunes Incentive program and the AQHA Incentive Fund. 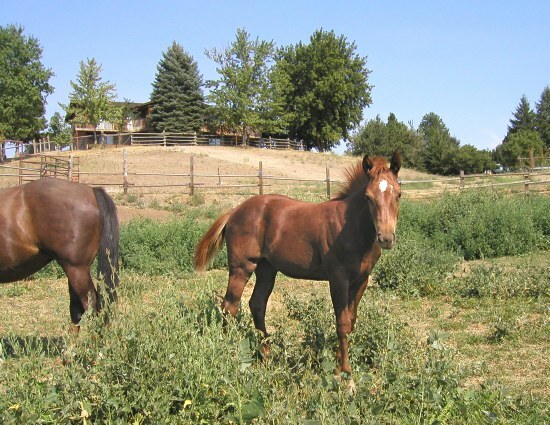 These programs mean added money for the owner when competing at AQHA or Future Fortunes events.